Why oh why do I always forget how very dark and wet and windy Portsmouth is in December. Long day ahead. DT - hope you eased into the sofa day without angst . . . .
SBD, OO - 2.5K miles excellent & good work by you n junior , OO - presume hip coped? Philip - I was given one of those crowns as a child - don't know what happened to it . .
good parkrunning - looks like you're back (or getting there) . . .
Poacher - ah, the glamour of our chosen sport . 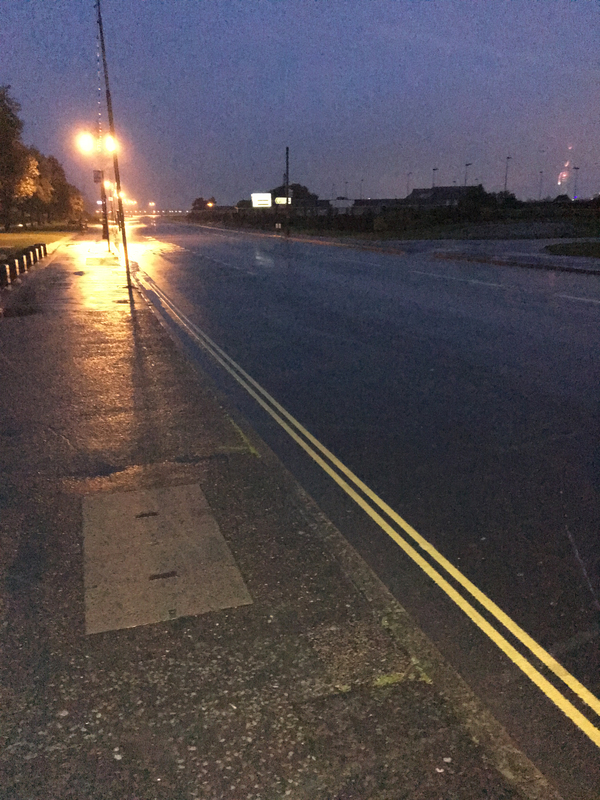 . . looks a bit like the first mile of my run this morning, before I hit the parks and trails - 14.5 satisfyingly bagged in the rain. Hope, like me, you're warm and dry, if not now, then soon . . .
the run has me on 1665 for the year, so 35 in 8 days will salvage a round figure for the year. Poacher, that just gave me flashbacks to leaving the hotel to get to yorkshire start line. Hope it went ok? Thanks, Birch.....i lay there and watched 3 back to bavk footy matches so not all bad. Nice trail long run. Still rough today. im never using redbull as a mixer again. im bouncing all over place. Anyway, dragged myself out early on for 16. First mile at 8.43 suggested id be out a while but i started progressing and ended with 8.06 average. At panto all pm now with kids. Lorenzo do you know how very hilly Sheffield is??? And what is the target for Boston? SBD - 2/5 is an excellent conversion rate. I failed to score sub 3 until mara no.31. Gul - would love to join you for the Keele-Dover race, but I'm sure there's something in the diary. Strangest sight of the weekend - during a tense struggle for the prestigious title of first OG55 at Orpington Parkrun yesterday, the other chap brazenly cut a tight corner by 40 metres or so coming into the final strait, and romped to victory. Why on earth would anyone cheat in a Parkrun???? I don't get it. Portsmouth was really wet and muddy, but the hardest bit was a short section running through loose, deep shingle into a driving headwind. Also a stretch of narrow sea wall, at least I didn't fall off. Seriously though it's a favourite course, very mixed terrain, treacherous in places, mostly beside water and under a huge winter sky with an even huger horizon. The novelty this year was the drinks station which supplied shots of Jack Daniels. 3rd off road mara of the month and I ran much better than last week, although still not very well. No aspirations to speed these days but it was a good day out. And a creative spinning medal featuring the Mary Rose. counting down, now, Poacher ! serious kudos, ticking off another toughie - and nice memento . . .
can you fit Town Moor in before we say adieu to 2018 ? ah, just checked - its been and gone . . .
Well done Poacher - a very nice medal - but did you partake in the Jack Daniels? The PR course cutting begs belief - hopefully the photographer caught him in action. A steady 18 miles for me today - it was a bit wet and windy here but not as bad as Portsmouth. Used my Boston training course. The last 5 miles uphill were hard work but I'm sure they'll get easier the more I run this course. Just sneaked over 70 miles for the week. Yes I swigged a JD, only a thimble's worth, and regretted it. There's a low key club mara on the Town Moor next Sunday - rude not to...got to get this stupid thing d&d. 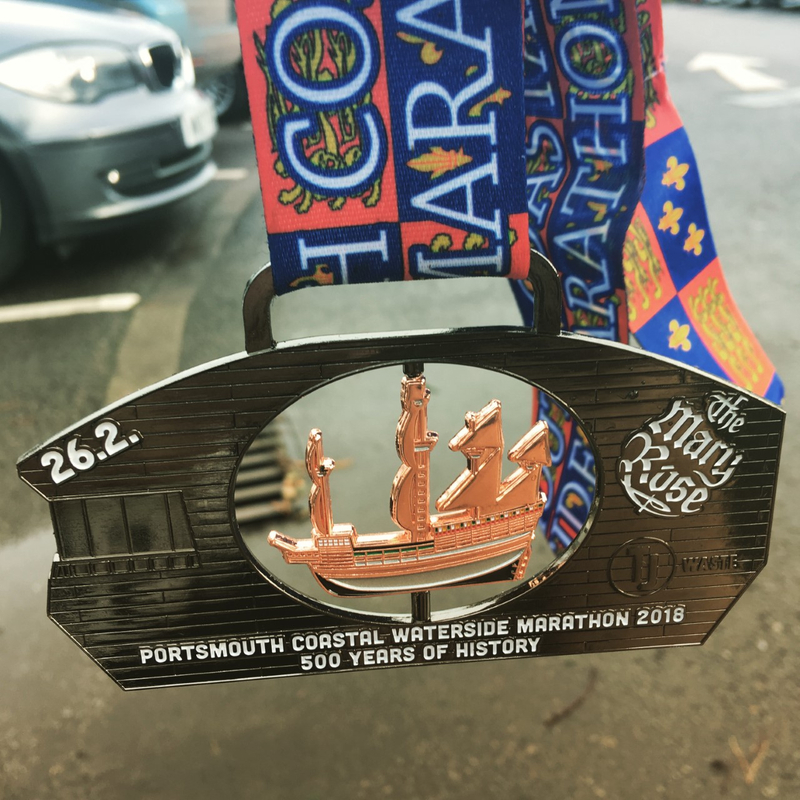 Well done on marathon 90 Poacher! It’s great to read you’ve another planned already. I’m finding myself wanting to run them more often, now that I’m getting closer too. I ran my 77th on Friday in 3:08:32, which was good enough for the win in a small field. Yesterday I ran 19:33 in the Derry Parkrun which was my 11th different Parkrun course of the year. I rested today with a hangover after running 16 days in a row. Leslie - hope your wife's op goes smoothly - sounds like you'll be busy! Lorenzo - good to hear from you - I guess you'll be closing in on 2,000 miles now or already there. OO- great 10k; rest must have done some good. Well done on 2,500. Good finish to the year. DT19 - good tempo running. Sorry, Keele-Dover was just a terrible pun. Say it aloud and you'll get it I'm sure. SBD - Nice tally of miles. One last push and I'm sure you could make 2600 Hoping to do Boston (Lincs) in the spring. PMJ - another nice parkrun. Poacher - it's grim down south Well done on no 90. Nice medal there. Birch - good miles all in all. Badbark - shelling peas again? And casual wins too!! Well done. 3 days, 3 runs, 3 11-milers. 50 to go. But first a couple of rest days and celebrating Christmas. Best wishes to everyone. Have a great Christmas. Good run down south Poacher. Well, merry Christmas everyone. Don't forget to go for a run tomorrow. 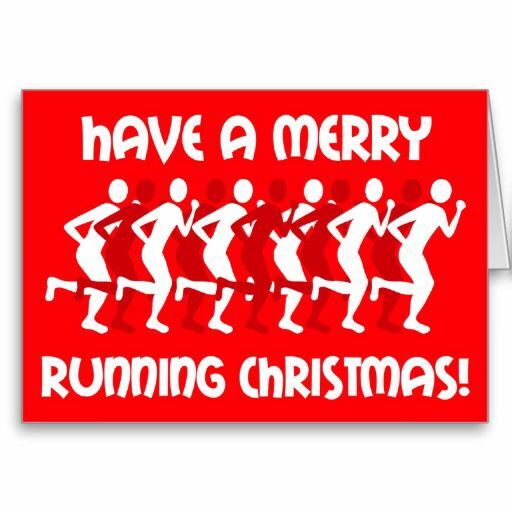 Merry Christmas all, I’ll be doing a parkrun tomorrow with the whole family- traditional running Christmas! It was a scorching hot summer's day on Saturday in my Park Run. The heat was already over 30 C and climbing towards its 41C maximum, the highest temperature in 2 years. I was holding on to first place for as long as I could but after a mile in I hit the wall and finished in 19:40. With more training I can work towards breaking 19 minutes in my Park Run in the new year. I would like to run sub 3:20 marathon again and run Sub 1:30 HM in a HM in the lead up before my next marathon in September 19'. I have managed 6 marathons between 3:04 to 3:20 between 2013 to 2017 with 3:04, 3:05, 3:09, 3:15, 3:19, 3:20. Losing 10 to 20+ minutes in the second halves of all of those marathon attempts robbed me of breaking 3 hours in a marathon and it was hard to hide my tears. To all the posters on RW: Merry Xmas and all the best for 2019! Merry Christmas to you all. I'm in Holland with my family. Will be running today. Hope you all have a peaceful and lovely time over the festive period. Merry Chrirtmas all. No running today, happy to make the most of Christmas day when kids are young. in a relatively short period of time theyll be grunting and shouting at me Happy to milk being the best thing in the world to them for now. Happy Christmas old friends, and also everyone who has joined in my absence. Never got to grips with the new format! I'm still not sure about it tbh. I suppose you get used to it after a while. Speedy !!! hi, and all good wishes to you - what's the plan for 2019 ? Sub 3 at London (please no freak heatwave this year!) then I can't decide on what to do in Autumn. I did an ultra on a bit of a whim with ludicrously inadequate training and broke the ladies' course record, so now I quite fancy doing one properly. So maybe that if I can find a nice road one. Or maybe Chester (but that one seems jinxed for me). Or Yorkshire. What are you lot all up to now? I've missed you all. I do hope I can keep up with the forums better this year. They may even have been the missing element. I lost the plot after mum died and my motivation just vanished. I'm sure you lot would have been just the tonic. Welcome back CC - sounds like you are still impressively quick. Road ultras are few and far between, maybe just as well as they are hard on the feet. Most ultras have mixed terrain and many involve navigation, sometimes problematic, which adds to the fun. If you are somewhere E Mids direction the Dukeries 40 is a good early summer workout in north Notts. I see you're going for 100 marathons now. Which one is planned to be your hundredth? I'm on 16 full or further now. I might aim for 50 before I turn 50. I have to say I rather enjoyed just jogging around the Nottingham Christmas marathon as a training run. I could definitely cope with doing that more often. Not that nearly 9 laps of Holme Pierrepont boating lake was very scenic, but good practice for the 12 lap ultra at least. The Dawn to Dusk is as many 2.014km laps of a dreary block in Ilford as you can manage before it gets dark (quite early as it's just before Xmas). I've only done 21 laps for a mara but some go on to do 50km or more. Not for the faint hearted. No plans for 100 but aiming to sneak in a cheeky 91st on Sunday. Speedy - great to see you back on here. Congrats on breaking the course record - doesn't surprise me that you're a decent Ultra runner. One option for you could be to do one of the summer Ultra marathons organised by the likes of Threshold Series, Rat Race or Centurion. Off road, but well marked so you shouldn't need to have to self-navigate. Not cheap though. 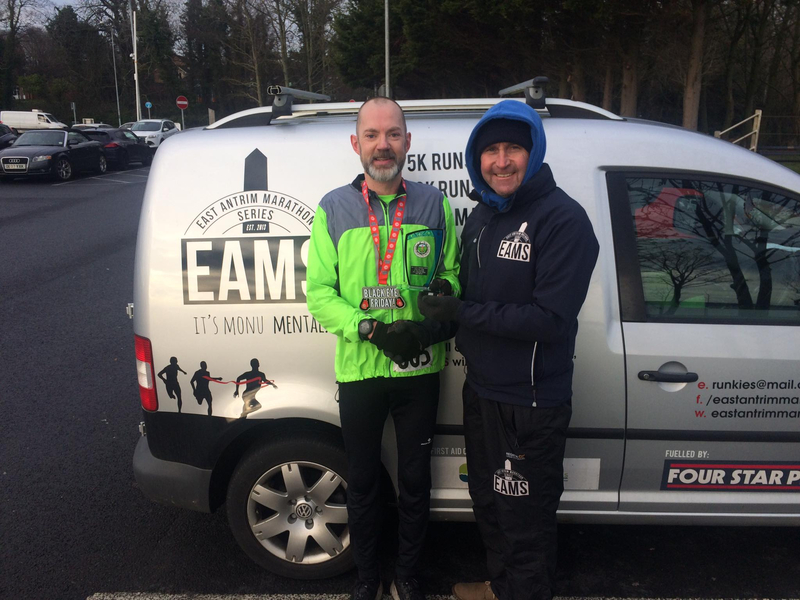 Well done to Badbark and Poacher on the recent marathon successes. Poacher - not set myself a target for Boston. I get the sense that there's no point in going for a PB, so I might just go for the all round enjoyment of being part of a historic race. I've got tickets for me and MrsL to go and see the Red Sox the previous day to help get in the mood. Birch - thanks. Will be there on the 12th. SBD - don't know if you've had a chance to look at any accommodation options, but Boston is ***ing expensive so we've gone for an airbnb - we're in Cape Cod on the Thursday night then back to Boston late on the Friday, Expo planned for Saturday which will give us the rest of the day and the following morning to explore the city before going to Fenway Stadium on the Sunday afternoon. We fly back Tuesday night so a bit of post race relaxation, sitting in coffee shops wearing my medal! What are your plans? Hope you're enjoying Holland GM - have you taken your running gear? Are you and the Jersey boys coming over for the Parliament Hill XC? MrsL was pleased (I think) with an entry into the Fleet Half Mara as a Xmas present - should be good fun. Apart from a new running top from the in-laws, no other running related gifts for me this year but I managed to receive a good stash of reading material to keep me going for the next few months! Managed 6 pleasurable muddy miles on Xmas Day before sorting out Xmas lunch - all arrived at pretty much the appointed time so very pleased with that. 8 miles this morning, but felt harder work than it should have done. Lorenzo, why are you formerly known as Lorenzo?? ?